Earth Day is just around the corner, and it's never too early to start doing good things. Today's crush, is a cool site called Groovy Globe. They are making eco friendly apparel, and tons of awesome stuff with their funky globe on them. Groovy Globe also has a mission to raise funds for organizations helping the environment. Foodista has heard that they are donating a portion of sales to their partners, Global Green USA and Trees for the Future. 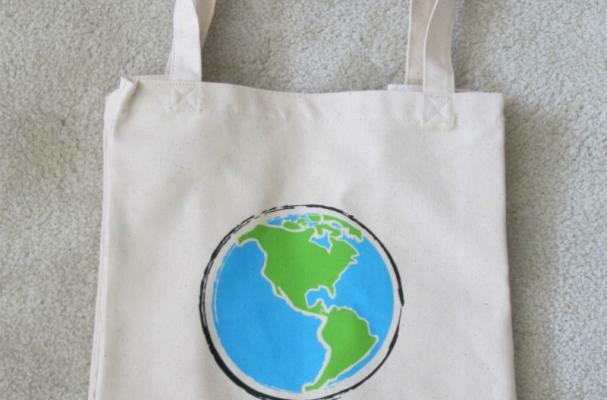 We particularly like this recycled cotton tote; a cook can't have too many grocery bags. I (Amy), carry no less than 8 of them, including a cold bag and various cloth bags bearing logos. This Groovy Globe logo would be at home in my stash.